The Norwegian seismic services company Magseis has awarded Sonardyne a major contract for seabed node acoustic positioning technology to support an expansion in its deep-water survey activities. The equipment ordered includes a large quantity of Sonardyne’s SST 6 (Small Seismic Transponder 6), and associated vessel-based acoustic positioning system, Ranger 2 USBL (Ultra-Short BaseLine). All the hardware will be installed and operated by Magseis’ latest crew which is scheduled to be fully operational during the second quarter of 2018. Seismic surveillance surveys conducted using stationary nodes deployed on the seabed are becoming increasingly commonplace as geophysicists generally agree that this method delivers the highest possible definition reservoir imagery. However, any uncertainty in node positions can distort these pictures and make the behaviour of the underlying reservoirs more difficult to interpret. 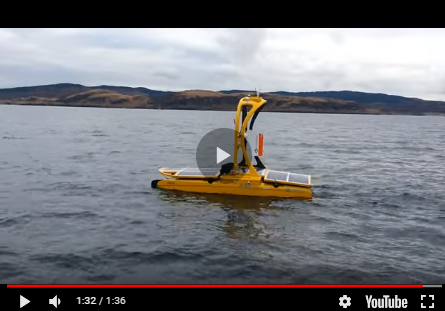 Sonardyne’s SST devices are attached to cables or ropes adjacent to each node, and when used in conjunction with Ranger 2 installed on a surface vessel, overcome this problem by providing high quality, repeatable positioning during node deployment and when landed on the seabed. Introduced onto the market this summer, Sonardyne’s new SST 6 makes use of the company’s patented wideband digital acoustic signal processing architecture to deliver substantial performance gains over the previous generation SST, and ensures robust positioning performance in the most challenging of operational environments. Innovations such as built-in, Near Field Communications (NFC) technology allows SST 6 transponders to be checked and programmed without human intervention, supporting Magseis’ continued vision for fully automated node handling and efficient back-deck Ocean Bottom Seismic (OBS) operations.